An Arlington Heights resident discovered about 10:30 PM Sunday October 15, 2017 a theft of a Halloween decoration at his house in the block of 400 South Rammer Avenue Arlington Heights, IL. 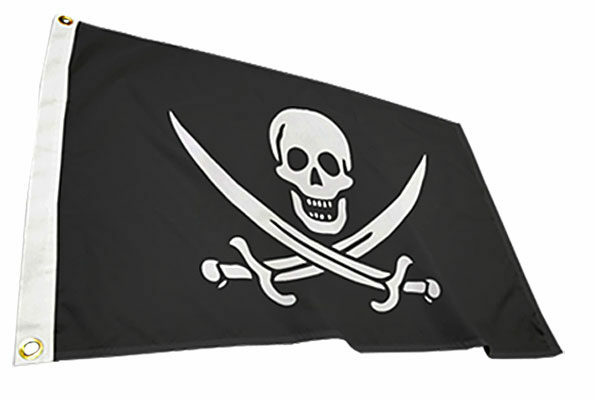 An unknown offender or offenders took a black and white pirate flag (3’x5′) that was hanging from a window. The theft involved a considerable effort and trespassing, including climbing on part of the victim’s house to remove the flag. The flag was valued at $30. A police report was not filed as of 10:15 p.m. Monday October 16, 2017. The crime is reported to have occurred on Sunday, October 15, 2017 about 10:30 PM. Pirate flag image similar to flag stolen in Arlington Heights on Rammer Avenue near Gregory Street.